I've had a few opportunities to go thrifting lately, so it's about time to share what I've picked up. First, I made a video a little over a week ago (and just uploaded it this morning) of some of my thrift haul. The first stop was a local church's sale. They had boxes of items all lined up and let you fill a shopping bag for $1. 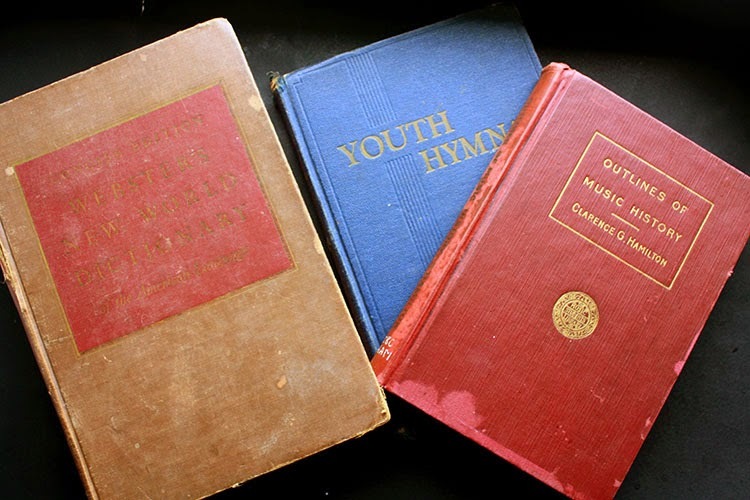 I grabbed some books: another dictionary, a youth hymnal, and this Outlines of Music History. 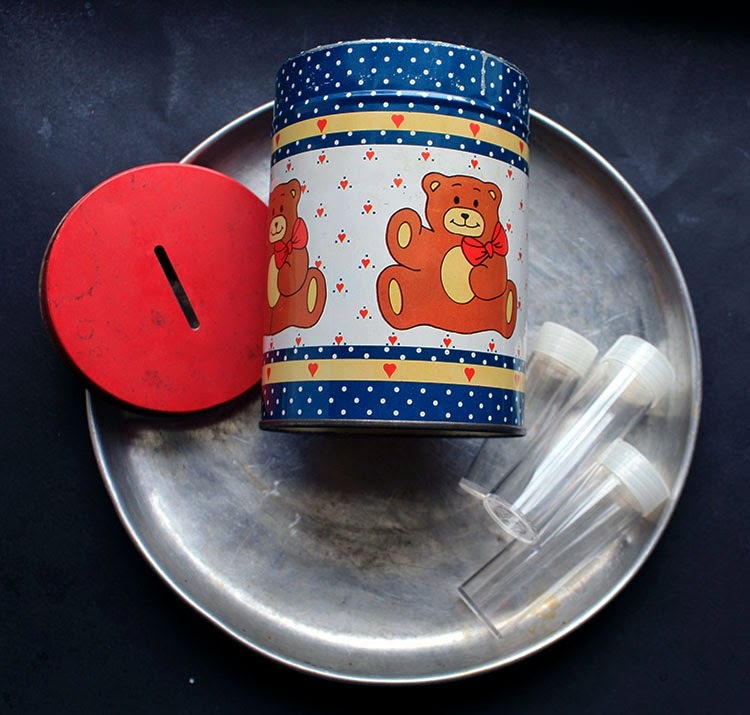 I like the polka dots on the tin bank that held those plastic vials (perfect for beads) and the tin plate caught my eye too. 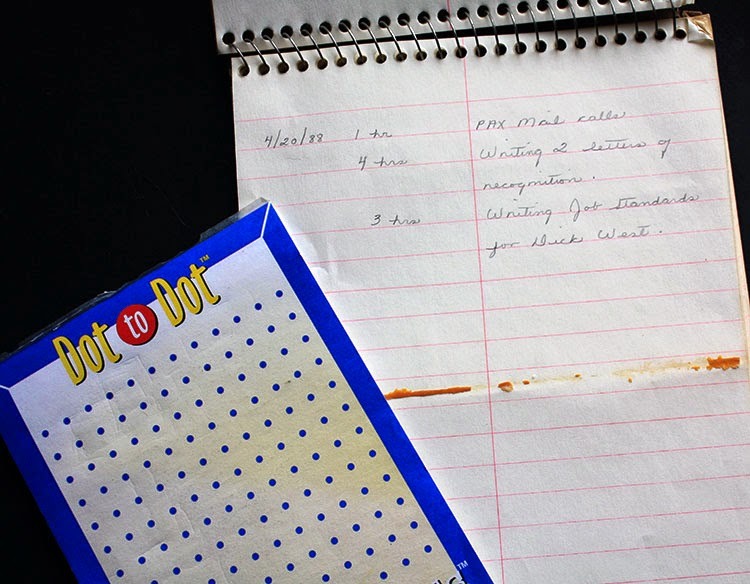 While I was at it, I threw in the Dot to Dot game pad and this notebook that had some writing in it (perfect for art journals/collages). Next was a small neighborhood sale. 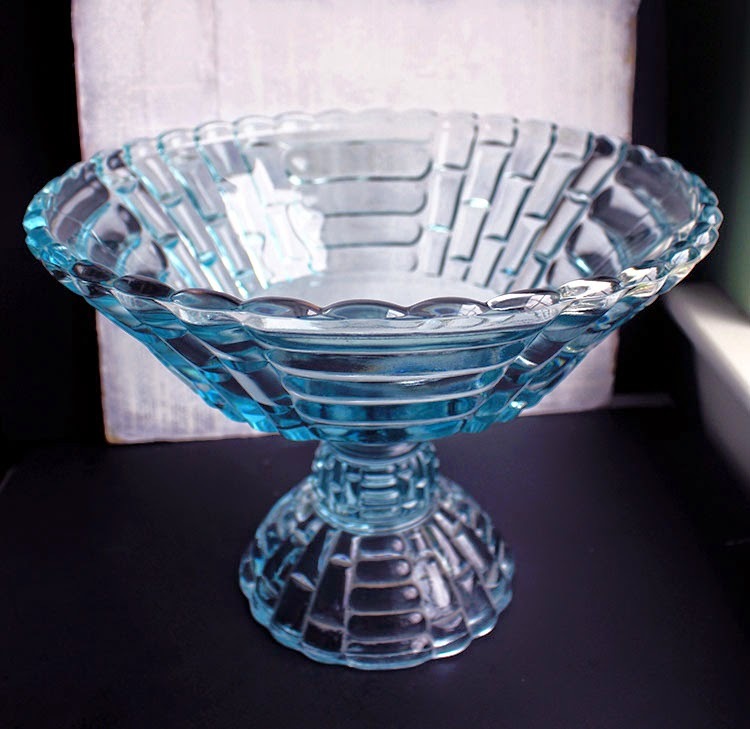 There were only four houses participating in the garage sale, and this pretty light blue. . .candy dish (?) was the only item I bought. There were a few more things that I wanted, but the prices were a little steep for my taste. I stopped at one last yard sale on my way home. I was able to get all these pieces, destined to be taken apart and upcycled, for only a buck. One of the great things about Spring (besides the weather) is the abundance of yard sales you can find each weekend. I was glad to be able to eke out a little time to treasure hunt. Have you found any great treasures yourself lately? Thrifter Share on Hey What's for Dinner Mom? Love those sequins. They almost look like a mermaid blue color. Great finds!! I so need to get out and do some thrifting myself. Hopefully this weekend. Have a great week. 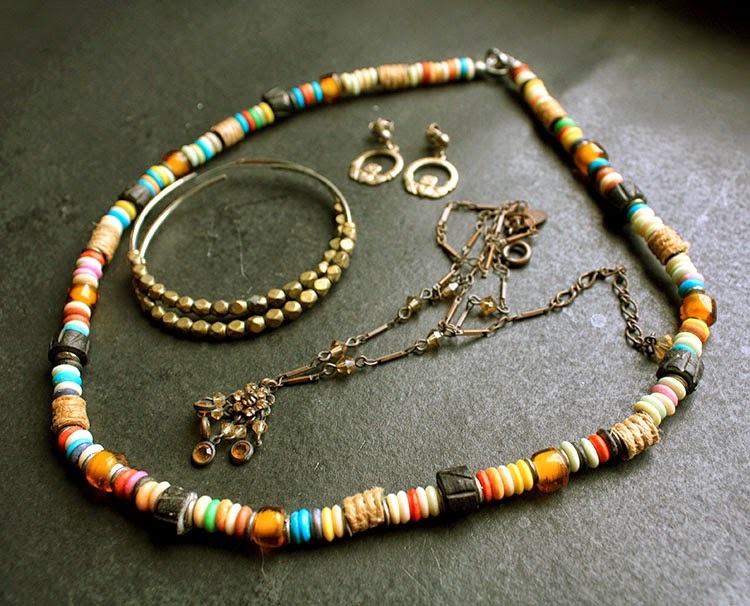 Looks like some great finds, especially the jewelry grouping at the end! I've been having some good luck out picking the yardsales and thrift stores lately, too. I shared my finds over at my blog, www.judypimperl.blogspot.com. Just dropped some of my finds off at the shop today! Thanks for sharing. Judy, I just love the spring for its abundance of thrifting opportunities! I'll definitely have to go take a peek at your finds. I've so gotten behind in my blog hopping lately. Oops! You always find the good deals when you are thrifting, LOL. In a month, our whole neighborhood will have a community yard sale.........you should come on over. Lee - I don't know about ALWAYS. But I do look often and that helps for sure! As for your yard sale, I so wish I could. ;) It's time to start planning my own now too. The hubs and I are feeling overloaded with STUFF at the moment. If only I could stop shopping. Ha. I am jealous. You always find the good things. Our little town with only three blocks downtown has only junky stuff. I love the little tin. Those church sales are the best! Love your books and thrifty finds. Thanks for sharing at Vintge Inspiration Party. I agree I love the abundance of yardsales! It's fun to go for a little adventure--finally my kids are getting into it too-like pointing out signs and shopping with their own money. Love the necklace you're going to take apart, can't wait to see what it becomes. Oh, I remember some of my first yard sales too with my grandmother. It was always such an adventure. As for the necklace, who knows what it'll be. . .probably several different things. But first, I have to hoard it for a while before I even take it apart. Such is my way. ;) Thanks for stopping in! !